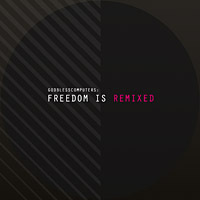 “Freedom Is Remixed” by Godblesscomputers follows the successful “Freedom Is O.K.” release on Equinox Records. This new offering brings new flavour to the tracks with remixes by 813, Digi G’Alessio, B-Ju, and Anthony Drawn, as well as two original compositions by Godblesscomputers himself. First off, 813 from Russia provides us with a really outstanding remake of “Nowhere”. Based on the same sample as the original track, 813 added some trappy drum patterns, basses, synth lines and a really catchy vocal sample. As soon as the “yo dj, let’s move the beat!” drops, everyone on the dance floor should be hooked. With this remix, 813 proves once more that he is one of the most aspiring electronic producers these days. 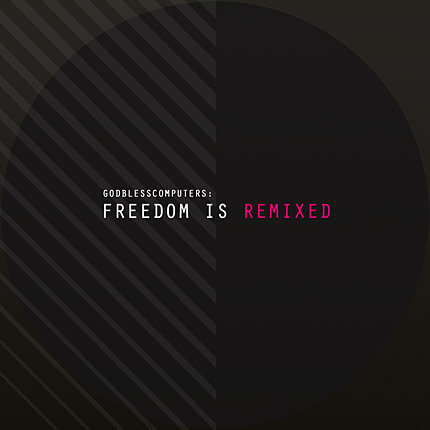 Following the same kind of vibe, the “Green Flowers” remixes by Digi G’Alessio and B-Ju had already been available on the digital version of “Freedom Is O.K.” – but now have been remastered for even stronger and more banging results. Furthermore, a brand new remix is provided by Sichtexot’s talented Anthony Drawn who created a totally different instrumental for Francesca Amati’s vocals of the track “Fire Extinguisher”. The new, dark, yet inspiring vibe may get you goosebumps. Additionally to the four remixes, there is also one exclusive, new track by Godblesscomputers himself: “Feel Sick” is a catchy electronica composition in the vein of his earlier productions. The original version of “Green Flowers” is added for completeness and rounds up the release.